Strands and strands of glass seed beads give these colorful bracelets an eye-catching effect. Each is handmade in India and finished with a sweet brass button closure. Pick one to complement the look of an INK + ALLOY block print scarf, or wear one solo to let it shine on its own. Dimensions: 1" x 8" x 0.01"
A block print scarf from INK + ALLOY is a versatile, wear-anywhere layer that stands out. 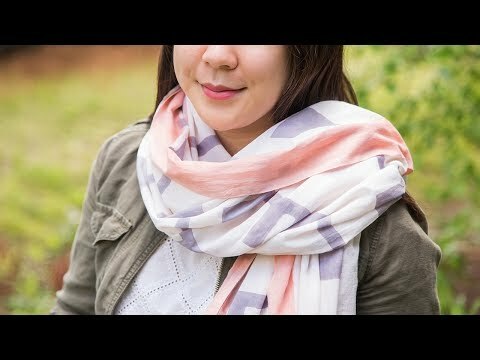 Each scarf is made by hand, which makes it one of a kind. A family of artisans creates the block prints—and has been practicing the art for five generations. They carve the blocks, then dip them in dye and stamp the design on cotton. The resulting bold geometric print is the perfect balance to the scarves’ airy texture. And with the oversized design, the scarf can easily serve as a colorful sarong or shawl, too. INK + ALLOY also creates elegant jewelry, and we were taken with their multi-strand glass seed bead bracelets. 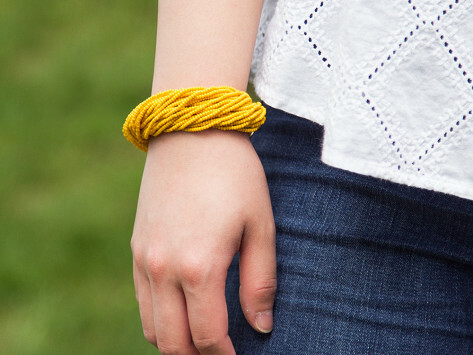 Also handcrafted in India, they can serve as an eye-catching complement to the scarves. Both accessories celebrate time-honored artistic traditions that can be worn every day.